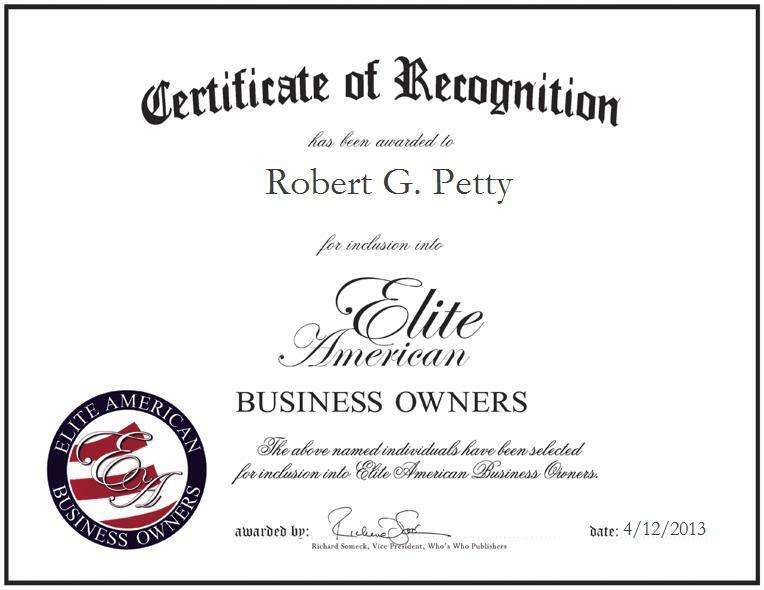 IRWIN, PA, April 12, 2013, Robert G. Petty, Chief Executive Officer of Bade, Inc., has been recognized by Elite American Business Owners for dedication, achievements, and leadership in lubrication engineering. Lauded as an expert in the consultation with other companies with regard to lubricants, Mr. Petty strives for excellence in his every endeavor. He is currently in charge of overseeing manufacturing and distribution operations of ADMAX Performance Lubricants at the helm of the manufacturing company which offers petroleum refinery services. Mr. Petty attributes his success to his hard work, his mobility and his willingness to travel globally for the company. He was inspired to establish his own company by a desire to make the most of the knowledge and experience that he had amassed over the course of a career that has spanned nearly four decades. Throughout his successful career, Mr. Petty has hit many high notes. He pinpoints the highlight of his career as his creating and registering his own brand, ADMAX. Mr. Petty has remained dedicated to learning and growing professionally over the years. He earned a Bachelor’s Degree in Science and Chemistry from the California University of Pennsylvania, and she has since remained abreast of trends and developments in her field as a member of the Society of Tribologists and Lubrication Engineers. In his spare time, he enjoys reading Lubes-N-Greases magazine.